Bianchi Magma 9.2 | 2019 | Â£625 | Bianchi UK | Contact us for competitive pricing and availability. 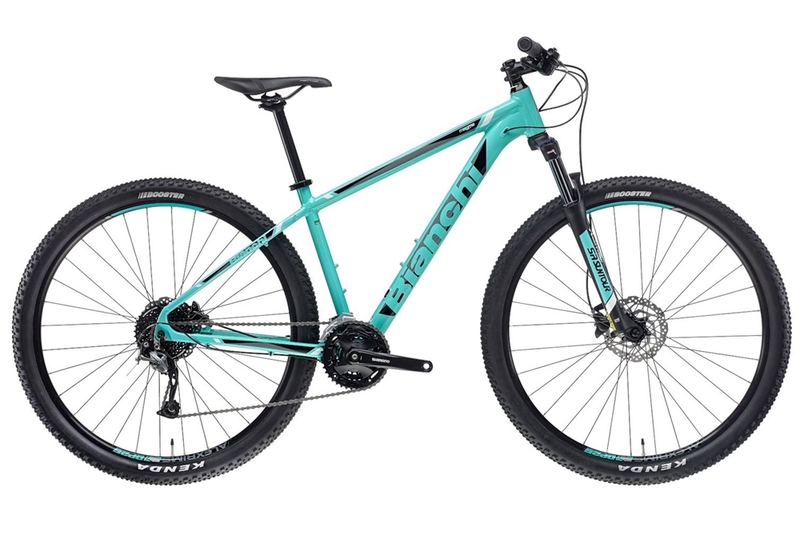 Bianchi Magma 9.2 | 2019 | £625 | 0% Finance Available up to 24 months | Contact us for competitive pricing and availability. Frame Spec: Magma 29" alu, 1,1/8" HT, BSA 68mm, seatpost diam. 27,2mm, low clamp FD diam. 31,8mm bottom pull or Side-Swing, PM 160mm, dropouts 9x135mm QR, internal cable routing, sizes 15-17-19-21"
Stem: Tec 3D forged alloy 6061, +/-7°, 1.1/8", diam. 31.8mm, ext: 80mm-15/17", 90mm-19/21"